San Francisco has 17 semifinalists in the running for the prestigious 2019 James Beard Awards. The finalists will be announced on March 27 and the awards will be presented on May 6, 2019. For more information, visit https://www.jamesbeard.org/blog/the-2019-james-beard-award-semifinalists?utm_source=facebook&utm_medium=social&utm_campaign=2019-2-27. Join the Exploratorium on March 14 for the 32nd celebration of the never-ending number (3.14159 . . .), as well as Einstein's birthday. Pi Day was invented by the Exploratorium and the popular hands-on museum attraction is also celebrating its 50th year in 2019. From 10 a.m. to 5 p.m., pay-what-you-wish on your admission and enjoy all-ages fun engaging in π-related activities, including a free piece of pie. For an adults-only experience of the holiday, join After Dark from 6 p.m. to 10 p.m.
SailGP, a new annual, global sports championship embarking on its inaugural season, has launched ticket sales for its highly anticipated San Francisco event, which will take place on Saturday, May 4 and Sunday, May 5. San Francisco SailGP will feature bold, cutting edge technology and awe-inspiring athleticism, introducing U.S. audiences to sailing redefined while showcasing the members of the national team on home waters. On May 4 and May 5, San Francisco SailGP will take place from 12:00 p.m. to 2:00 p.m., just off the Marina Yacht Club Peninsula, in the heart of San Francisco Bay with the Golden Gate Bridge serving as a stunning backdrop. Each of this year’s events will feature teams representing six countries – the United States, Australia, China, France, Great Britain and Japan – all racing on identical 50-foot foiling catamarans, known as the F50 – the world’s fastest, most technologically advanced race boat. Rupert and Carrie Blease are the husband and wife chef team behind Lord Stanley, the popular four-year-old Modern European restaurant in the Russian Hill neighborhood. Lord Stanley was named the #3 Best New Restaurant in America by “Bon Appetit” in 2016, earned 3.5 stars from the “San Francisco Chronicle,” and has been awarded a Michelin star every year they have been open. The menu at Lord Stanley is simple yet refined, with British and European influences that focus on unique preparations of local vegetables and proteins. Wine Director Louisa Smith has created an impressive natural wine list to pair along with the cuisine, featuring small-batch natural winemakers from all over the world. The San Francisco Arts Commission held a lighting and dedication ceremony on March 13, 2019 to commemorate a new sight-specific neon artwork on the western façade of the historic Bill Graham Civic Auditorium by internationally acclaimed conceptual artist Joseph Kosuth. “W.F.T (San Francisco)” presents the etymology, or “Word Family Tree,” of ‘Civic’ and ‘Auditorium’ in white neon. Through the use of language, Kosuth’s artwork reflects the historical significance of the Auditorium while also demonstrating how words reveal relationships to cultural and social realties. “W.F.T (San Francisco)” is Kosuth’s first permanent public artwork on an historic building in the United States. It is also the City’s first public art project funded by a private developer, Emerald Fund, through the Public Art Trust. Uncover the history of the Black Power movements in California with a compelling addition to the Gallery of California History at the Oakland Museum of California. In response to the widely-popular 2016 exhibition “All Power to the People: Black Panthers at 50,” the new “Black Power” installation illustrates the creative ways black anti-racist activists in California supported their communities and challenged the U.S. government. Focusing on the example of the Black Panther Party, “Black Power” brings to light the tensions between a culturally and socially progressive California and examples of economic racism and oppression in the state. This moment in California history is represented through historic photographs, provocative objects, iconic posters, paintings and interactive prompts that encourage visitors to take action out in the world. One hundred and fifty years ago, the completion of the first transcontinental railroad in North America signaled the closing of the American frontier and the ability to travel from coast to coast quickly and with more ease than ever before. In recognition of this anniversary, the California Historical Society (CHS) presents two simultaneous exhibitions that examine the history of the railroad in California and beyond. The exhibitions, “Mark Ruwedel: Westward the Course of Empire” and “Overland to California: Commemorating the Transcontinental Railroad,” will be on view at the California Historical Society, located at 678 Mission St. in San Francisco from March 21 through Sept. 8, 2019. Special events and programming will accompany the exhibitions, including a rarely seen gold spike, which was the last to be driven into the railroad connecting Los Angeles and San Francisco to the East Coast. This summer, music, community, and nature join forces once again in the heart of the city during the twelve-day, outdoor extravaganza, Flower Piano. After a record-breaking fourth year with over 60,000 attendees, Flower Piano will once again transform San Francisco Botanical Garden into the city’s own alfresco concert hall where everyone is invited to play and listen. From July 11-22 only, visitors are encouraged to play what they like at any of the twelve pianos located in scenic spots throughout the Garden. Event partner Sunset Piano will also curate a wide array of musical performances by professional pianists and a whole host of other musicians, ranging from classical to Brazilian bossa nova, and the public is welcome to pack a picnic and enjoy the shows. New this year, in partnership with Community Music Center, free piano lessons will be offered. American Conservatory Theater (A.C.T.) Artistic Director Pam MacKinnon and Executive Director Jennifer Bielstein have announced the seven productions that will make up the company’s 2019–20 season: Caryl Churchill’s acclaimed play, “Top Girls;” the world premiere of Kate Attwell’s “Testmatch;” Obie Award–winning playwright Will Eno’s latest work, “Wakey, Wakey”; Branden Jacobs-Jenkins’s shocking and scalpel-sharp dark comedy, “Gloria;” Lydia R. Diamond’s unforgettable baseball play, “Toni Stone;” Richard O’Brien’s cult classic, “The Rocky Horror Show;” and Qui Nguyen’s raucously funny and deeply moving sequel to “Vietgone”, “Poor Yella Rednecks.” The performance schedule will be announced at a later date. Season subscriptions for the 2019–20 season range are available now. Single tickets will go on sale in mid-summer 2019. For more information, visit https://www.act-sf.org/home/box_office/1920_season.html. The historic Mansion on Sutter is an opulent Victorian mansion built in 1881. Originally constructed by the Payne family to serve as their private home, the property is a prolific design masterpiece crafted with rich cedar, stained glass, gilded ceilings, and breathtaking chandeliers. Each guest room is uniquely designed, blending classic Victorian style with all of the contemporary touches a discerning guest would expect. A gourmet breakfast is included with each stay, along with culinary surprises for each room. The property also houses The 1881 restaurant, featuring California-French cuisine with an emphasis on organic and sustainability. The Estate by the Elderberries is comprised of the luxurious five-star hotel, Château du Sureau, the award-winning The Elderberry House Restaurant, the relaxing Spa du Sureau and the private Villa Sureau. This nine-acre property is nestled in the foothills at the gateway to Yosemite National Park. The Estate is reminiscent of the French countryside, where beauty and old-world charm await. With stately guest suites and enchanting gardens, Château du Sureau exudes luxury and bliss. Discover the magic of traditional European service and the allure of fine dining. For more information, visit www.chateausureau.com. Alaska Airlines has unveiled plans to build a new 8,500-square-foot top-floor lounge at San Francisco International Airport (SFO). Located in Terminal 2, guests will be treated to the highest viewpoint of any domestic lounge at SFO, with stunning sights of the Bay and runway. Expected to open in 2020, the Alaska Airlines SFO lounge is the company's first in Terminal 2 and is part of a multi-year commitment to invest in new and existing lounges with guests' every comfort in mind. For more information about San Francisco International Airport, visit www.flysfo.com. 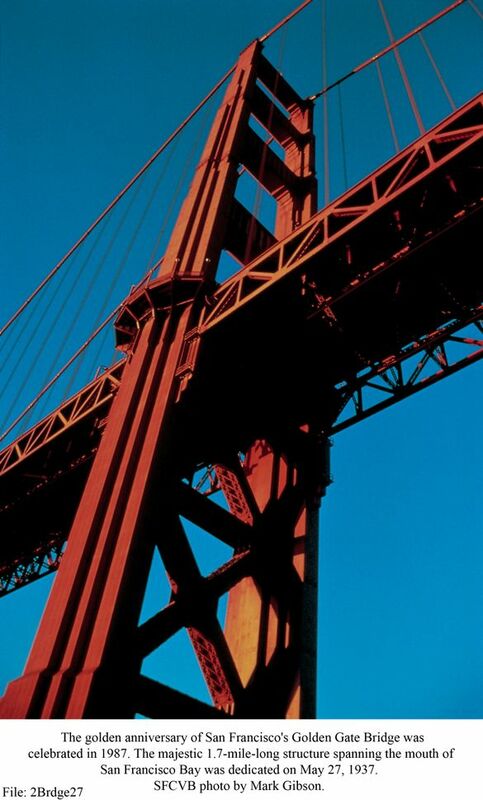 The San Francisco Travel Association is the official destination marketing organization for the City and County of San Francisco. For information on reservations, activities and more, visit www.sftravel.com, read the Visitors Planning Guide or call 415-391-2000. San Francisco International Airport (SFO) offers non-stop flights to more than 46 international cities on 39 international carriers. The Bay Area's largest airport connects non-stop with 79 cities in the U.S. on 13 domestic airlines. SFO is proud to offer upgraded free Wi-Fi with no advertising. For up-to-the-minute departure and arrival information, airport maps and details on shopping, dining, cultural exhibitions, ground transportation and more, visit www.flysfo.com. Follow SFO on www.twitter.com/flysfo and www.facebook.com/flysfo.